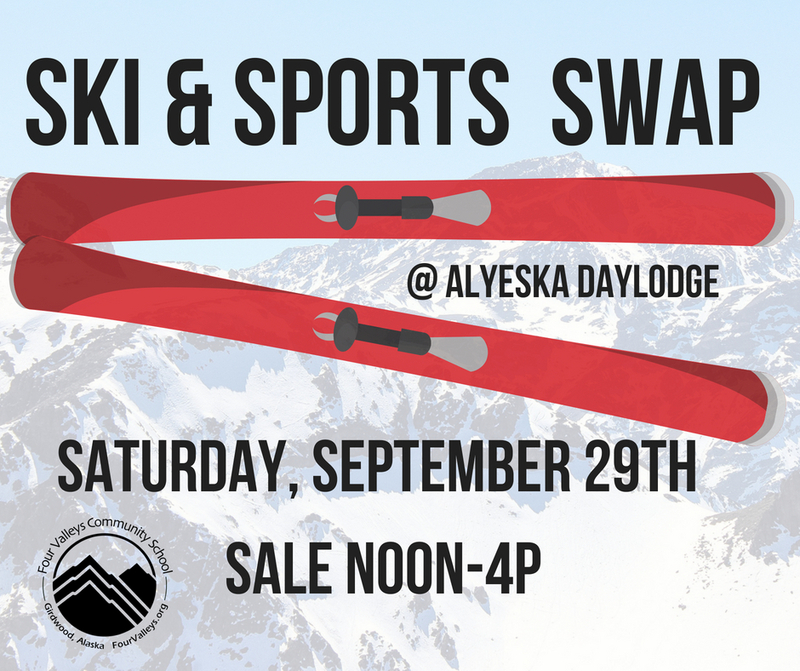 Each fall we urge community members to clean out their closets and garages, and bring their sporting goods to the Alyeska Daylodge for a huge swap. The event is a fundraiser for Four Valleys Community School, and a great annual community gathering. 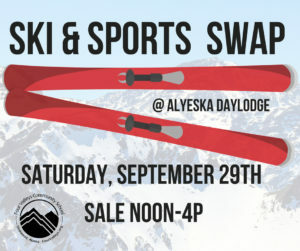 Ski & Sports Swap 2018 was held Saturday September 29th. Stand by for our 2019 Swap Date next fall!